What to expect when you're planning to go into orbit. The era of space tourism is nearly upon us with Blue Origin, SpaceX and Virgin Galactic each vying to be the first company to ferry clients on once-in-a-lifetime treks up to the edge of space and back. While SpaceX is the clear frontrunner when it comes to cargo and satellite launches, Blue Origin is leading the pack in terms of putting actual people into actual orbit. The Jeff Bezos-founded space flight firm recently announced it will begin selling tickets for its trips up to the Karman Line -- at the very edge of the Earth's atmosphere -- some 62 miles above the planet's surface. But how will these trips actually work and what (if any) effects might they have on the human body? Flights aboard Blue Origin's New Shepard spacecraft will only last around 11 minutes total but are expected to provide the six passengers a full four minutes of weightlessness before the capsule returns to Earth. These passengers will be seated around a solid-fuel abort motor "centered in the circular structure like a cylindrical coffee table," as Aviation Week reports. Each passenger will be strapped into a chair reclined to around 70 degrees but angled to each face a window so that they'll all be afforded an unimpeded view of the sky around them. You won't have to worry about snapping selfies or recording the flight on your phone during the journey as the New Shepard will be outfitted with numerous cameras capturing both the cabin's interior and the exterior view, per Smithsonian Magazine. Just be sure to use the restroom before boarding, as these crew capsules do not include a "head." As of yet, the company has not disclosed many other details about what's in store for space tourists aboard the first New Shepard flight. Not even small details like what sorts of G-forces passengers will endure during either takeoff or landing. Passengers could experience "something like a rollercoaster or a jet taking off at the beginning," Rachael D. Seidler, a professor with the department of Applied Physiology and Kinesiology and the University of Florida, told Engadget. The return trip could be a bit less pleasant, she continued, as "a drop landing with the parachute could be fairly traumatic in terms of impact." Of course that's only going to be an issue if the New Shepard's trio of landing parachutes -- as well as its retro rockets -- somehow fail to operate properly. Once passengers break the Earth's gravitational bonds, they'll have a few precious minutes to unhook themselves from their chairs and enjoy the freedom of microgravity. Unlike the physical impacts that professional astronauts have to deal with when they spend months at a time aboard the ISS, the corporal ramifications during these 11-minute space jaunts will be minimal. The greatest threat, Seidler suspects, will be from space sickness. "The vestibular system is the small balance organ in the inner ear," she explained. "When you tilt your head, gravity pulls around some of the stuff in there and that signals to your brain that you've tilted your head." However in microgravity that shifting doesn't occur which "can be a provocative stimulus. So, people could feel dizzy, nausea, things like that." It's not that different from being sea- or car-sick and the effects should wear off quickly once you are back on terra firma. "I think the main thing is gonna be the space motion sickness," she said. "So they may wanna pack some medication or take it before they go." The fitness requirements for taking one of these trips should also be fairly relaxed compared with the stringent physical demands of long-term space flight. NASA astronauts, Seidler explained, have to be extremely fit with high bone density and plenty of muscle mass because the longer you're exposed to microgravity, the more bone and muscle mass you lose. That's why astronaut Peggy Whitson has to continuously train like a triathlete during her nine months aboard the ISS. Luckily this isn't the case when you're going to be weightless for less than a quarter hour. A person's "cardiovascular system will work a little bit differently..." Seidler concedes. "We're used to different valves and pumps in the system that work to circulate around our fluids and blood, and, in a microgravity context, these things will float up towards the head. But, again, just being there for 11 minutes, it may not be that big of a deal." At this point it would appear that the most physically demanding aspect of these tourist flights will be deciding which arm, leg, and/or kidney you'll have to sell in order to afford a ticket to ride. 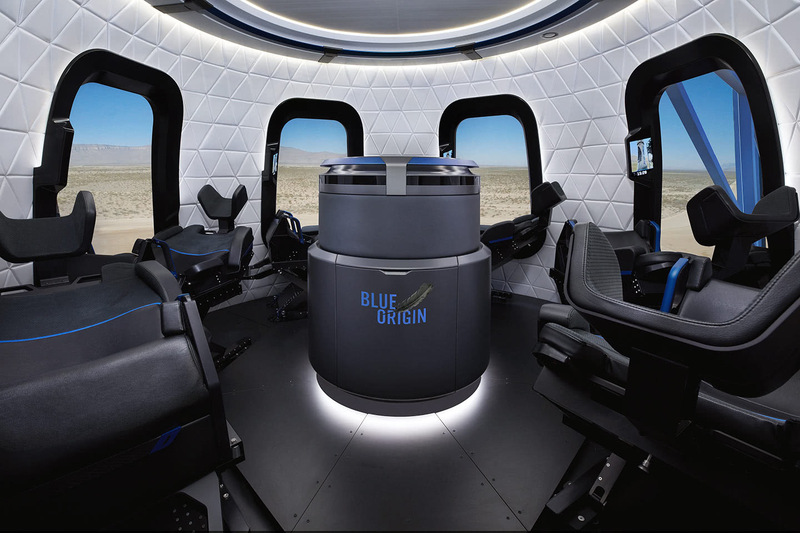 Blue Origin has not yet announced pricing for its trips but if the $250,000 price tag that Virgin Galaxy as attached to its orbital rides is any indication, you may have to dip into the kids' college funds in order to pursue your dreams of short-hop space travel.